Hi again, my darlings! 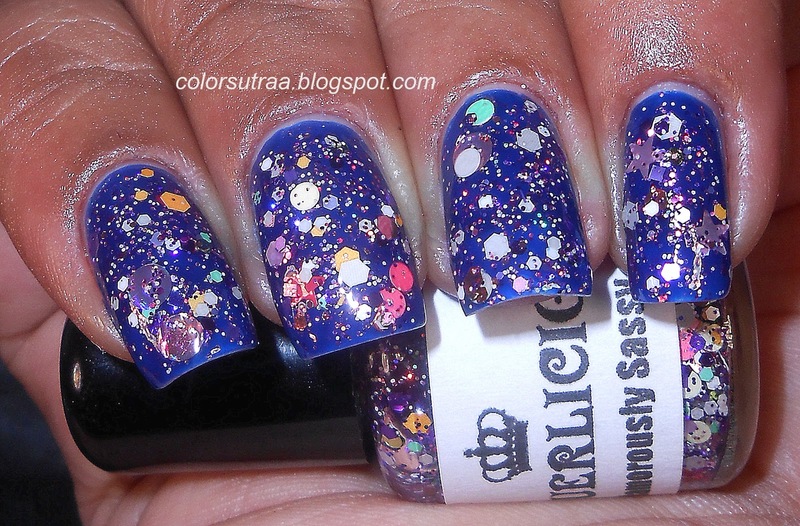 I have another review for you tonight, this time for an indie brand that's quite new to me but that caught my eye with some pretty unique glitter polishes--Laquerlicious Unity! 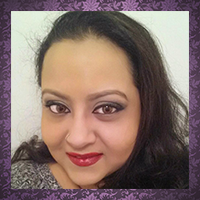 Michelle of Laquerlicious was kind enough to send me three polishes for review--Amethyst Glaze, Supreme Queen and Glamorously Sassy! Now most of you know that my heart lies with holos for the most part but I really couldn't resist these glitter polishes--all three are quite beautiful! First, I have Amethyst Glaze--a rich dark purple full of red, teal and purple microglitter! Application of this polish was good but since this is an incredibly saturated polish so I would advise letting each coat dry completely before applying the next. 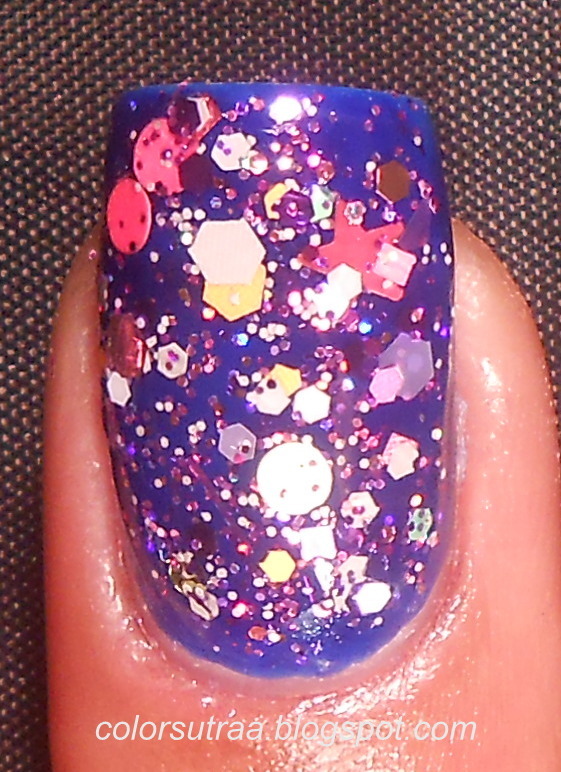 I used 2 coats for the swatches below, topped with one coat of G&G's HK Girl. I really loved how this turned out! 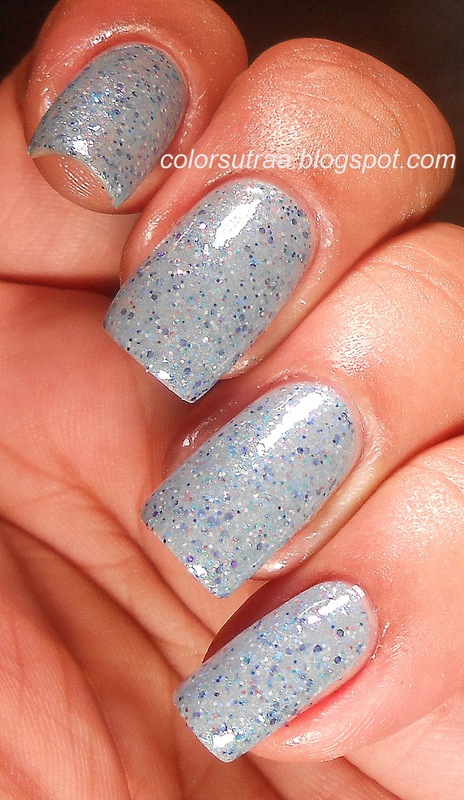 Next, I have Supreme Queen--a dusty bluish gray polish with pink shimmer, filled with dark blue and bronze microglitter. 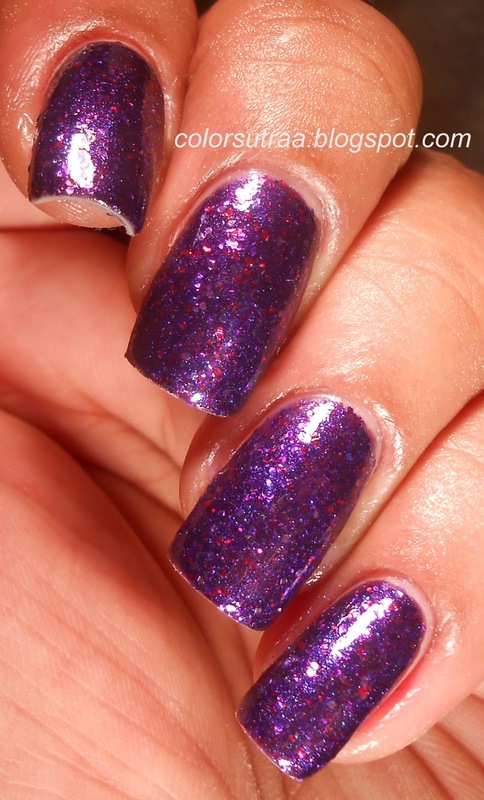 The formula on this was very smooth and I used 3 coats for the swatches below, topped with one coat of G&G's HK Girl. This is such a unique polish--I don't think I've ever seen one quite like this! 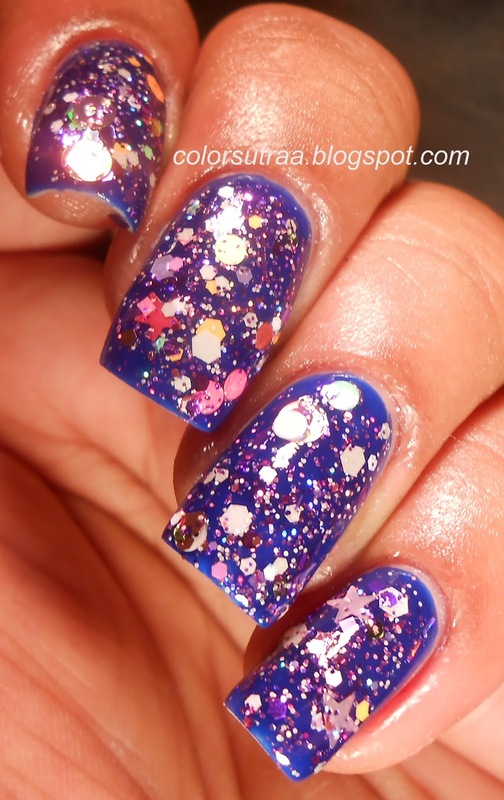 Finally, I have my favorite of the three, Glamorously Sassy--this is a clear glitterbomb topcoat filled with all sorts of glitters, including orange, gray, green, yellow and white hexes, squares and circles, pink and light pink stars, large silver and pink holo circles and purple microglitter. I used 2 coats over 2 coats of Revlon Royal, topped with 2 coats of G&G's HK Girl. 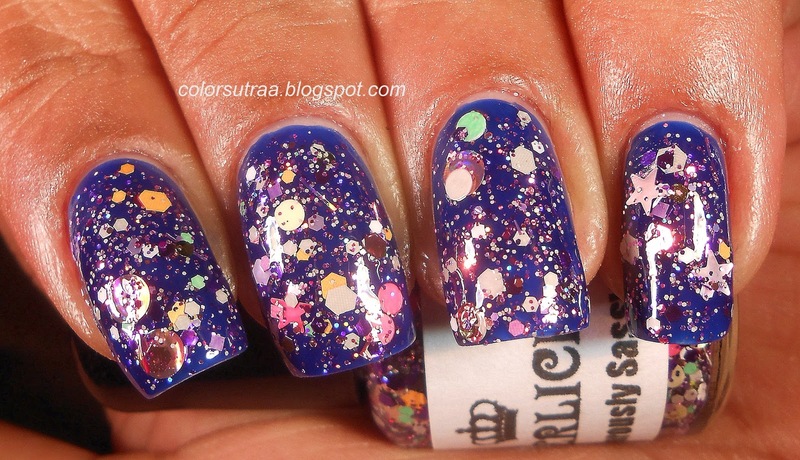 This polish is full of surprises and each coat is different from the next! So there you have it! If you would like to add these beauties to your stash, you can find them HERE.